Well, tomorrow's the day. The day that everyone in America sits on their couch and eats and drinks in front of the TV. It's Super Bowl Sunday! This year instead of stuffing your face with greasy, heavy game day snacks you can munch responsibly. Control what you're noshing on and then on Monday you won't need to worry about doing damage control from the weekend. 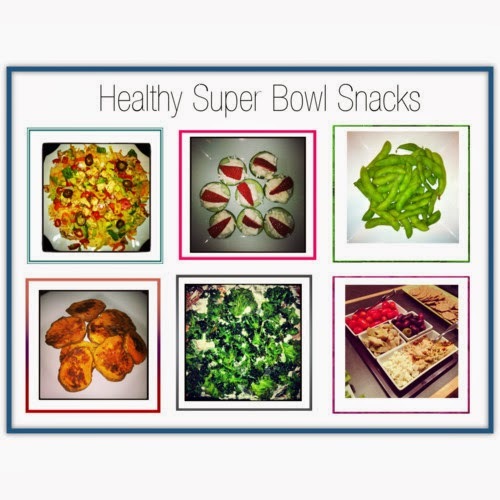 Enjoy the game with these savory yet healthy snacks. All the Recipes can be found at the links below. Enjoy!